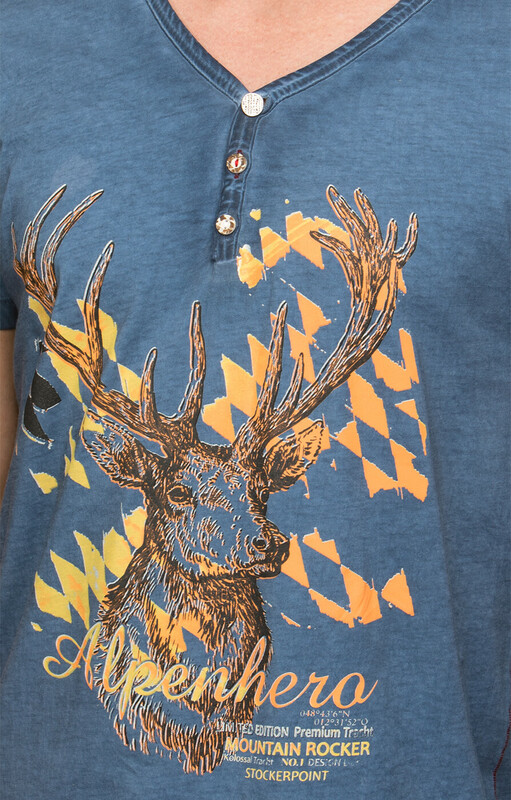 Casual blue men’s T-shirt with buck head print. 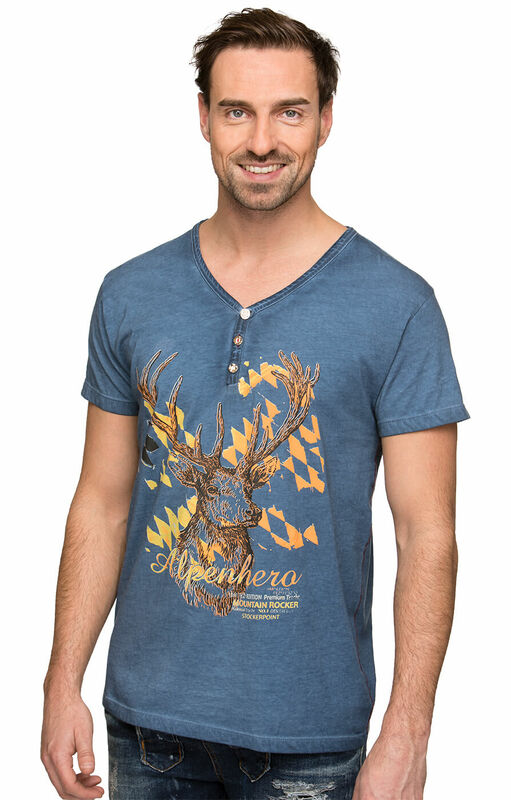 A flattering straight-cut V-neck top with deer-horn-button fastening and printed tag at the back, this traditional German T-shirt in blue was designed with comfort in mind. 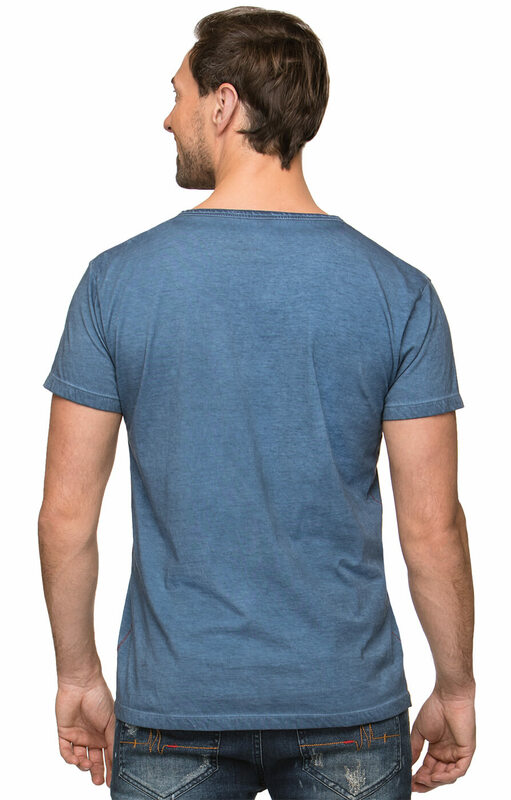 Made entirely of cotton, this T-shirt will stay soft and comfy in any weather, having you look your best all day. 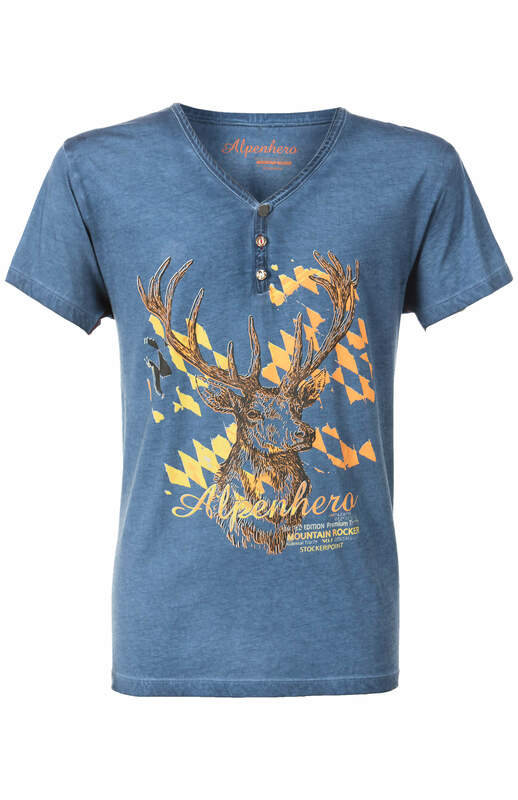 Pair it with traditional boots and denim shorts to complete your laid-back look.